MONTHS OF HIBERNATING AND WEARING HATS IN THE COLD WEATHER CAN LEAVE YOUR HAIR IS DESPERATE NEED OF SOME LOVE. ITS TIME TO BRING YOUR HAIR BACK TO LIFE WITH THE LABEL.M PROTEIN SPRAY. 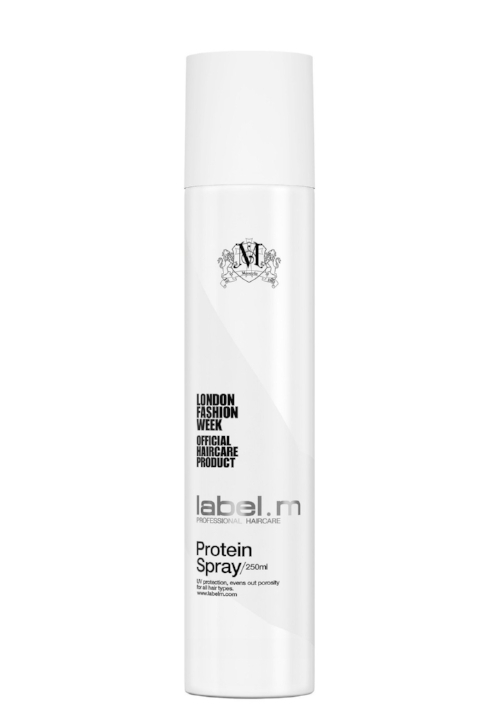 LABEL.M PROTEIN SPRAY IS INCREDIBLY VERSATILE AND CAN BE USED IN A LAYERING FASHION AS THE PRIMER FOR THE HAIR. WE LIKE USING IT ON DRY HAIR TO REFRESH CURLS AND WAVES. SEE HOW LABEL.M USES THE PROTEIN SPRAY TO CREATE LOOKS FOR STUDIO.54.